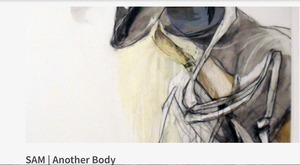 Another Body is a group exhibition featuring the work of seven artists who depict, incorporate, or are inspired by the human body. Artworks as varied as a Torah made of human skin, humorous paintings of bacon-wrapped G. I. Joe toys, and massive drawings of hybridized human and animal bodies combine to explore the complex, finite, and fragile experiences of being human. For more information, contact our Exhibitions Coordinator, Ashleigh Shuler, by email at apayne@spartanarts.org or call 864.582.7616 x 254.